Pioneers in the industry, we offer hand made pashmina shawls and pure hand made pashmina / hand embroidery shawls from India. We are offering Hand Made Pashmina Shawls to our client. 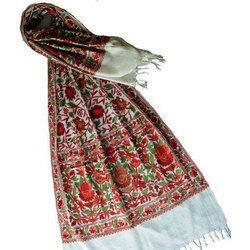 We are offering Hand Embroidery Shawls to our clients.